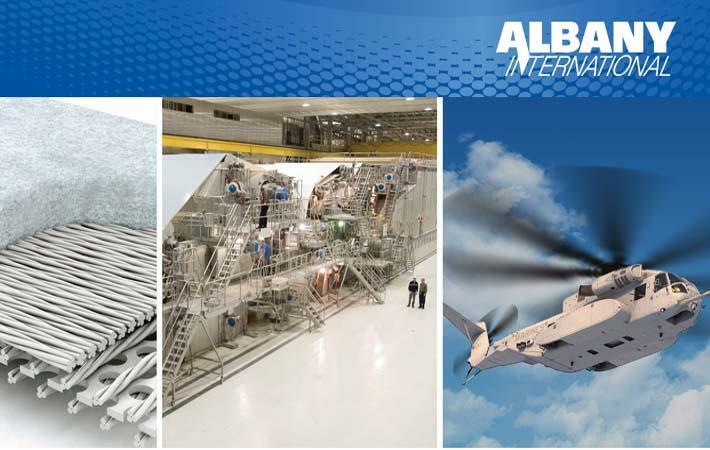 Albany International Corp (AEC), a global advanced textiles processing company, has reported net income of $28.2 million in Q3 2018 compared to $15.3 million in Q3 2017. The net income increased by $0.7 million as a result of adoption of new revenue recognition standard (ASC 606). Net sales were $253.3 million, an increase of 14 per cent compared to 2017. In machine clothing (MC), excluding the impact of ASC 606 and currency translation effects, net sales increased 4.1 per cent compared to Q3 2017. Globally, machine clothing sales grew in the packaging, tissue, publication and pulp grades, with particular strength in South America and Asia. "Q3 was another quarter of strong, improving performance for AEC, with significant growth in net sales, operating income and adjusted EBITDA compared to Q3 2017. Net sales, excluding the impact of ASC 606 and currency translation effects, increased 40 per cent, while profitability continued to improve compared to last year," said Olivier Jarrault, CEO of AEC. "So in summary, this was another very good quarter for the company, with continued outstanding financial performance in MC and solid sales and income growth in AEC. MC is firmly on track for full-year," he added.